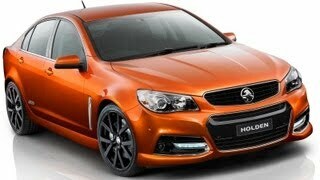 Holden has unveiled the stunning new performance sedan show car, the VF Commodore SS V show car, ahead of its international debut as the Chevrolet SS Sports Sedan in the USA this weekend. 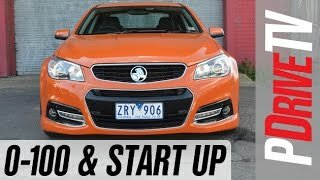 The VF Commodore sport luxury range is more refined than any car previously produced by Holden, embodying the same design sophistication, premium appointments and attention to detail as the Calais V luxury sport concept. 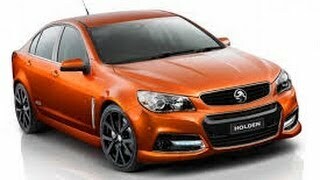 The SS V has a mature, new aerodynamic exterior design, which has been finished in eye-catching custom Fantale orange metallic paint specially created by Holden for the show car. It boasts a quad-pipe exhaust, 20-inch multi-spoke alloys, Brembo brakes and a 6-speed manual gearbox. The show car’s impressive cabin layout is the real deal – entirely new and close to mainstream VF SS V production design intent. The theme is well-appointed sport luxury: dark-toned, subtle and sophisticated.